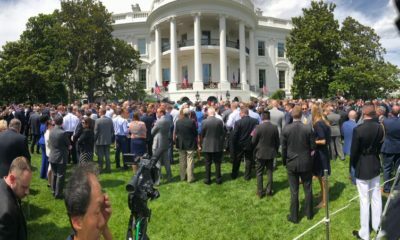 The event will take place Thursday, May 10, and is being organized by the White House Office of Science and Technology Policy. It will be hosted by Michael Kratsios, who serves as the U.S. Deputy Chief Technology Officer and as President Trump’s Deputy Assistant for Technology Policy. 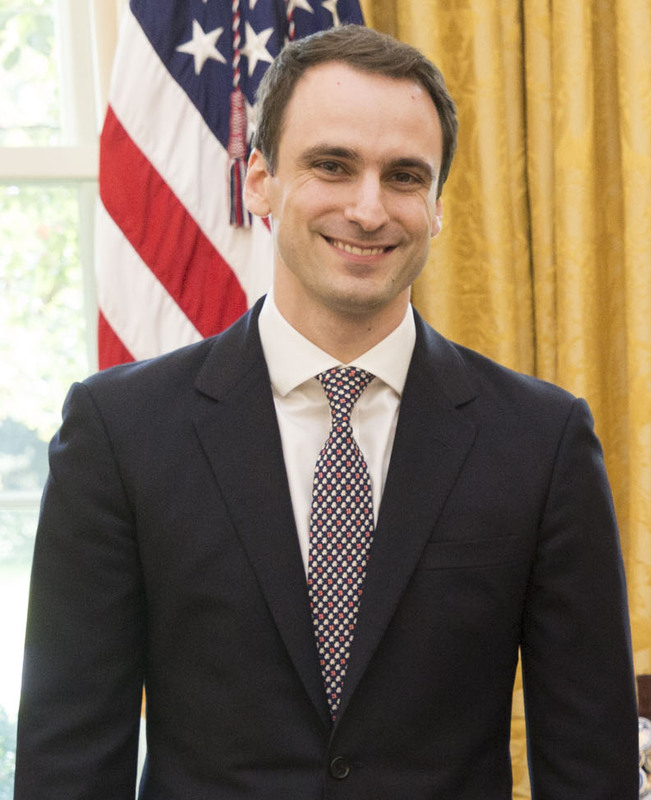 Kratsios, 31, serves as Trump’s technology adviser at OSTP, which is part of the Executive Office of the President. OSTP has a broad mandate to advise the president on the effects of science and technology on national and international affairs. Under Trump, the OSTP has largely been neglected since the former real estate mogul and reality TV star took office. While the office boasted a staff of 135 people under former director John Holdren, who held Kratsios’ job and ran the agency under then-President Barack Obama, Trump’s OSTP — which is being run currently by Ted Wackler, a career civil servant — has only around 57 people on staff, according to spokesperson Ross Gillfillan. While previous people in his position have held advanced degrees, including Obama tech adviser John Holdren, who had a Ph.D. from Stanford, Kratsios holds only a bachelor’s degree in political science and a certificate in Hellenic studies from Princeton University. 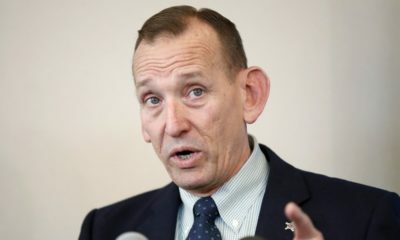 His experience with technology is limited to having spent time working for venture capital firms in Silicon Valley, where among other things he served as chief of staff to Peter Thiel, a prominent supporter of President Trump who is known for being an early investor in Facebook. Thiel, it was later revealed, funded the invasion of privacy lawsuit by Terry Bollea — better known as Hulk Hogan — which forced Gawker Media into bankruptcy after a jury returned a $140 million verdict against the company. The dispute was later settled for $31 million. Gawker Media had previously published unflattering articles about Thiel, and appeared to publicly “out” the entrepreneur as gay in 2007. Thursday’s event will take place in the shadow of a looming behemoth: A Chinese government that has embraced AI as a national priority, even as the current U.S. administration gives science and technology matters short shrift compared with its predecessor. Last July, China announced plans to become the world leader in AI by 2030 by playing midwife to an AI industry it hopes will be worth $150 billion. An English translation of the announcement compared the project to the U.S. race to the moon in the 1960s. While the U.S. government under President Obama released a similar report by the National Science and Technology Council in October, 2016, President Trump has expressed little interest in technology policy matters. 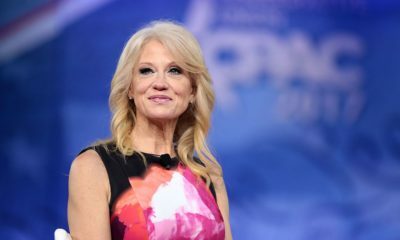 According to the White House, planned topics for discussion will include AI research and development (R&D), workforce development, regulatory barriers to AI innovation, and sector-specific applications of AI. Industry attendees will include executives from diverse business sectors including technology, food and agriculture, energy and manufacturing, financial services, healthcare, and transportation and logistics. Amb. David Friedman (R) invited Rev. Robert Jeffress (L) to speak at the opening of the United States' new embassy in Jerusalem. WASHINGTON, May 15, 2018 — David Friedman, the United States’ Ambassador to Israel, personally selected controversial pastor Rev. Robert Jeffress to deliver a prayer at a ceremony marking the American embassy’s move to Jerusalem, State Department Spokesperson Heather Nauert said Tuesday. Jeffress, an evangelical pastor who serves on President Donald Trump’s evangelical advisory board, has had a long history of making disparaging remarks about faiths other than his own. 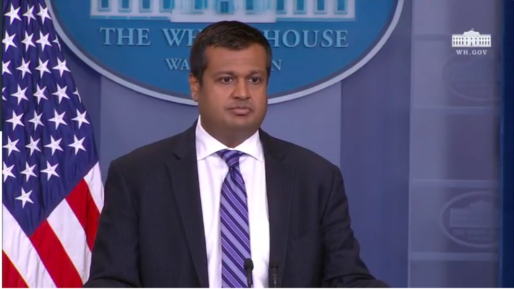 White House Principal Deputy Press Secretary Raj Shah told reporters he did not know how Jeffress came to speak at the opening of the Jerusalem embassy despite his past remarks about Judaism, but explained Jeffress’ presence by telling reporters that the pastor has “a strong relationship with many in the faith community” as well as members of the administration and members of Congress, but that his remarks were not representative of the president’s views. Nauert explained that American embassies have wide latitude as to speakers they might invite, citing the example of Dr. Arie Kruglanski, a University of Maryland scholar who spoke at the American embassy in Berlin last month despite her having made remarks critical of President Trump. “Embassies certainly have their free will sometimes to make decisions about who they want to bring in as guest lecturers or people to lead a ceremony or some sort of a celebration,” she said, but denied that she was making a direct comparison. “I’m just saying that embassies and people around the world bring in lots and lots of people who have various opinions,” Nauert said. 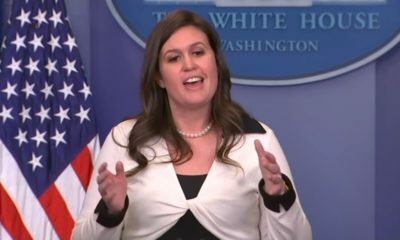 WASHINGTON, May 14, 2018 — White House Principal Deputy Press Secretary Raj Shah told reporters Monday that he did not know how evangelical pastor Robert Jeffress was among those selected to speak at the opening of the United States’ new embassy in Jerusalem despite his past derogatory statements about Judaism and other major religions. “I honestly don’t know how that came to be,” Shah said when asked how Jeffress, who said in 2010 that following Judaism, Hinduism and Islam — as well as membership in the Church of Jesus Christ of Latter-Day Saints — can “lead people to an eternity of separation from God in Hell,” was selected to deliver an invocation at a ceremony officially marking the embassy’s move from the Tel Aviv facility that has now switched places with what was a US consulate in Jerusalem. Jeffress, currently pastor of First Baptist Church, a Dallas-based megachurch, is one of President Donald Trump’s closest evangelical advisers. He often speaks of Jerusalem’s significance to conservative Christians, which make up a significant component of Trump’s base of supporters. In addition to his aforementioned 2010 remarks, Jeffress also called the Catholic Church “an instrument of Satan” that same year and referred to the LDS Church as “a cult” the next year. Later on, Shah was asked how another controversial pastor — Christians United for Israel founder Rev. John Hagee — ended up giving a closing benediction at the Jerusalem ceremony. Hagee is perhaps most infamous for remarks made during the 2008 election in which he suggested Nazi dictator Adolf Hitler was an instrument of God because the Holocaust persuaded many Jews to move to what became Israel after World War II. A State Department official told BeltwayBreakfast that US Ambassador to Israel David Friedman consulted with “many faith leaders” when planning for today’s ceremony, but would not say whether anyone from Foggy Bottom had played any role in Jeffress’ selection or done any vetting of the controversial pastor. This story has been updated to include further background on Rev. Jeffress, Raj Shah’s comments on Rev. John Hagee, and background on Rev. Hagee. Paragraph 6 has also been updated for clarity.